Automating every action makes robots out of your sales teams — and people do not buy from robots! What is “sales automation?” You first knew it as Salesforce.com, a way of tracking every interaction with a prospect from the first exchange to the most recent sale. Pretty good idea there. In today’s the VC-funded world, if some automation is good, tons of it must be great! Your friendly VC will fund as much as she can. They will even fund scores of “selling platforms” to automate everything. A prospect does not buy until she has been contacted seven times? No problem! Selling platforms will send tailored emails, at specified times, managed by AI! Wow, that’s the ticket. Except that is not what is happening. Fewer SaaS reps are making quota. Published sources credibly report over 50 percent of reps do not make quota at all. Plenty of DevOps, NoSQL, security, and revenue platform companies are on E, F, G funding rounds because they cannot make the revenue needed for a profitable liquidity exit. Sales automation cannot overcome fundamental market changes. Why? First, people do not want to talk to sales reps. They get their info on the web. We all do it. The second dynamic is sales automation has made customers hide from it. I did an experiment a few months ago for a well-known DevOps company. I reviewed their “leads” from white paper downloads, webinar visits, email responses, and the list, which was for one year and had about 10,000 line items. That’s a pretty good number until one digs a bit deeper. Eighty-seven percent of those who signed up for a webinar never attended. Ouch! Of the 10,000, 91 percent would not use their corporate email address. They used a Gmail or Hotmail address. Why? C’mon, you know the answer. They did not want to get caught up in a sales automation system because they knew their name will get sold, propagated into every SaaS automation platform, and they will not get any work done because they are going to get those seven emails from perhaps 50 vendors. They know this because they once downloaded that white paper and before it hit their inbox in came the call from the chirpy, young inside sales rep asking if he or she could answer any questions. Then another call, then the seven emails. Prospects, reacting to sales automation, hide from vendors. Marketeers are automating their sales and marketing functions because they do not know what else to do. If they fail to automate these functions, they will get fired and the new guy will come in and do it. Automating — or not automating — will not solve the problem of too few reps making quota. It is great make-work for marketing types, but the desired effects are just not there. There are easy answers, but they are hard to put into practice. Understand people do not buy from robots. 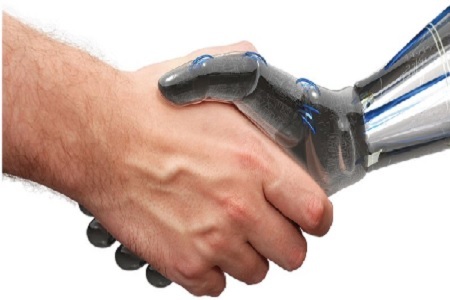 Making a sales team a robotic, process driven, dial-for-dollars robotic entity will never work. People buy from people they know and trust. The only model is to sell through trusted advisors. And this is really hard because sales VPs today never learned it in their metrics-driven world. Selling to a trusted advisor is a human-to-human activity. It takes a lot of research and shoe leather. But it works. It works because sales automation platforms have squeezed the humanity out of sales and buyers want to deal with real humans they trust. Trusted advisor selling works every time it is tried. Jay Valentine is President of ContingencySales.com, bringing disruptive technologies to market without venture capital. Jay is VP of Sales and Marketing for portfolio company Cloud-Sliver.